Most suitcases look alike, but each of these beautiful luggage tags are unique! 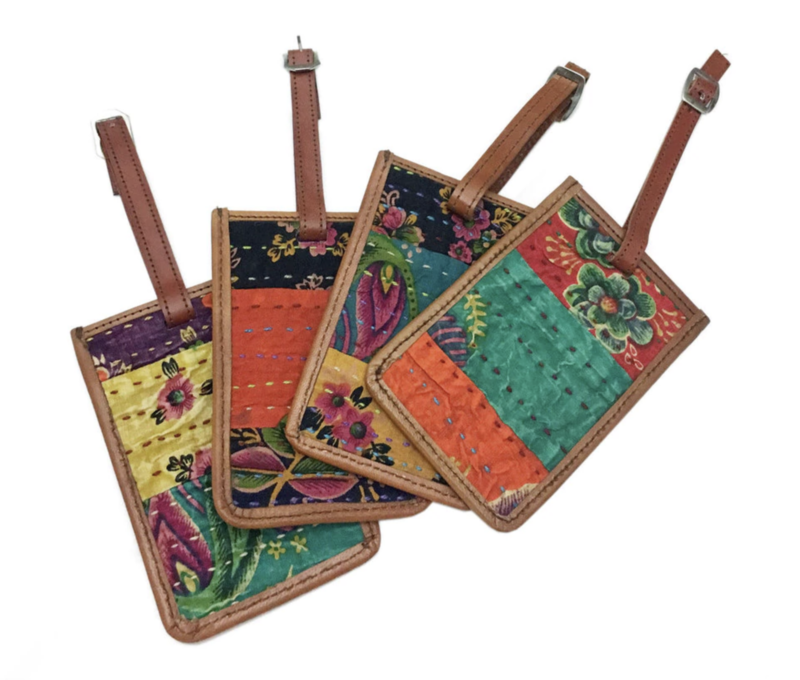 They are handmade by artisans in northwest India from upcycled sari fabrics with a beautiful kantha stitching and leather edging plus a buckle clasp to easily attach to your suitcase and space for your contact details. Sold in a set of 2.